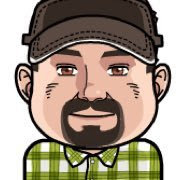 Google sync is as robust as any enterprise solution, and I discovered one more feature that makes it even more impressive. 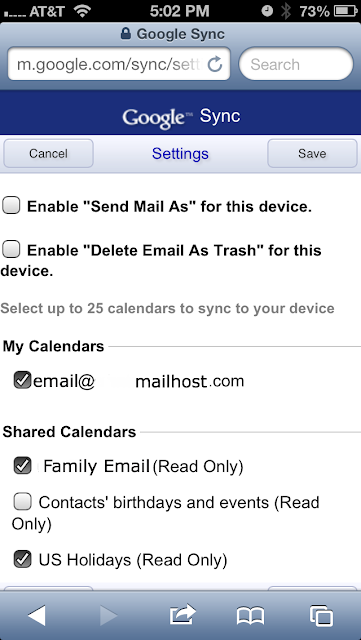 Many of us have multiple family members that share Google calendars, but until now I didn't know how to sync those calendars to my iPhone and iPad. 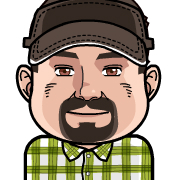 Now I do!!! 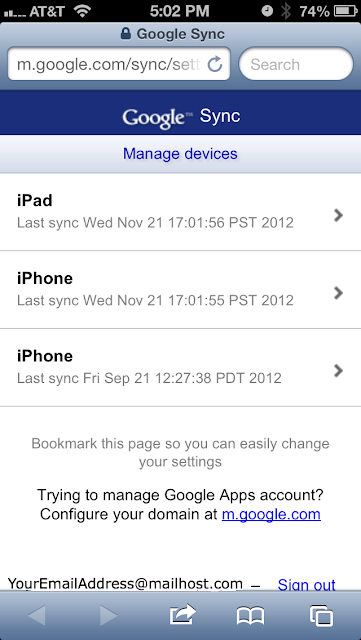 Sign in with your account and select your device from the list of devices you’ve set up for Google Sync. 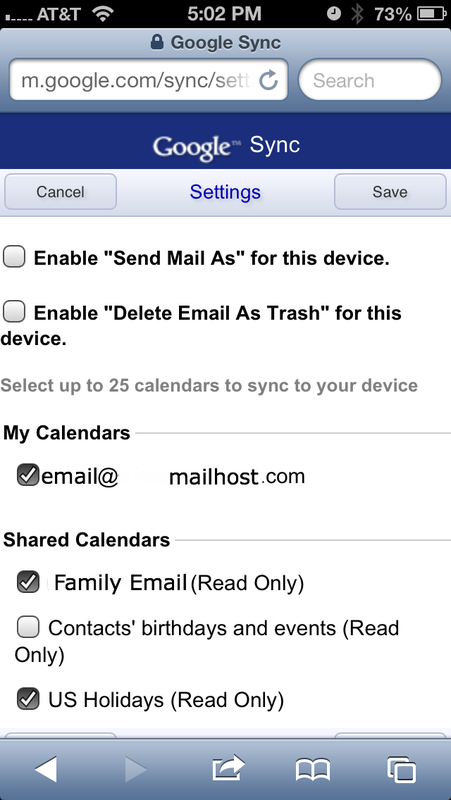 Once you select your device you can choose from the calendars you have already set up in your Google calendar to sync. You’ll need to do this setup on each IOS devices that uses Google Sync, to show multiple calendars.